It’s Follow-Up Friday: Hall of Fame edition! And today, I’d like to return to the subject of Dungeons & Dragons! 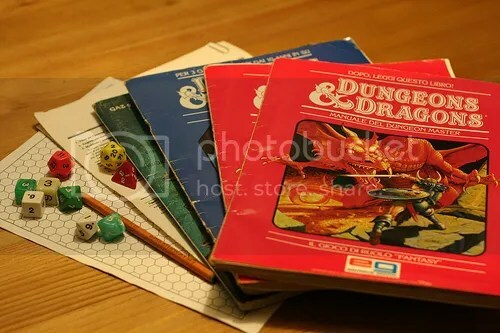 I’ve written about Dungeons & Dragons and other roleplaying games in the past, because I think they are a wonderful, underappreciated part of the world of puzzles and games. Some of the best and most satisfying riddles and puzzles I’ve ever solved were an integral part of a game of D&D. So I’m excited to announce that Dungeons & Dragons has been inducted into the National Toy Hall of Fame! Housed at The Strong National Museum of Play, the National Toy Hall of Fame recognizes those products and improvised toys that have played a crucial role in the development of children and teens. Whether they assist in hand-eye coordination, storytelling, deduction, athletics, or creativity, they are all classic examples of toys tied to fond memories of childhood. Previous inductees include the Rubik’s Cube (2014), Hot Wheels (2011), the Radio Flyer Wagon (1999), Jacks (2000), and Play-Doh (1998). And I for one think Dungeons & Dragons is a very worthy addition to this club. Dungeons & Dragons and its imitators actually changed the nature of play. 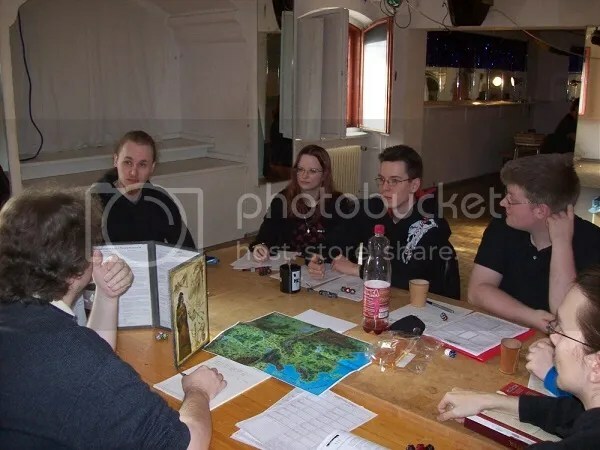 In Dungeons & Dragons players assume the roles of characters who inhabit a world moderated and narrated by a Dungeon Master, a player who explains the action to others and solicits their reactions to the unfolding story. The Dungeon Master’s storytelling skills and the players’ abilities to imagine add enjoyment to the game. Some aspects of the play are familiar, such as dice. But the special dice for Dungeons & Dragons hold up to 20 sides. Rolling them determines each character’s individual strengths, plots their complex interactions, and decides the outcome of their encounters. More than any other game, Dungeons & Dragons paved the way for older children and adults to experience imaginative play. It was groundbreaking. And it opened the door for other kinds of table games that borrow many of its unique mechanics. For over forty years, Dungeons & Dragons has been synonymous with roleplaying, collaborative storytelling, and good old-fashioned sword-swinging derring-do. And I think it’s fantastic that it’s getting some long-overdue recognition for the positive role it has played in so many people’s lives. Congratulations to you, Dave Arneson and Gary Gygax. Thank you for hours and hours of brilliant, engaging fun. This entry was posted in Games, PuzzleNation, Puzzles and tagged collaborative storytelling, D & D, D&D, Dave Arneson, dice, DIY puzzling, Dungeons & Dragons, Dungeons and Dragons, Follow-Up Friday, games, Gary Gygax, Geeking Out, hall of fame, hot wheels, jacks, National Museum of Play, National Toy Hall of Fame, Play-Doh, Pop culture, PuzzleNation, Puzzlin' fool, Radio Flyer Wagon, roleplaying, rpg, Rubik's, rubik's cube, social game, storytelling, Strong museum, Strong National Museum of Play, Toy Hall of Fame, Wordplay by gmdirect. Bookmark the permalink.